Kanata Major A Cubs make it 2 Tourney wins in a row winning the Scott Tokessy Memorial Tournament! In an amazing weekend in Kanata and with the amazing efforts of so many at the annual Scott Tokessy Tournament...the Major A Cubs made it two tournament championships in a row. Glebe, Orleans and South Ottawa were the other competitors in the Major A division and more than a few surprises were seen. In Game one Kanata faced Glebe in the tournament opener. Colby Frost’s stellar starting pitching and a big first inning capped off by a clutch RBI single by Michael Milross put Kanata ahead to stay. Simon Dubois’s 2/2 in the leadoff spot and Pedro DelCorral’s power hitting paced the team to an opening victory of 9-1. In the Saturday morning early riser 7:45am start vs South Ottawa Nick Doiron and Aaron Chase led the team attack while Carlos Vallejos’s dominant pitching performance sealed an 11-0 shutout. Later that afternoon with the upstart Orleans team facing elimination after a shocking loss to Glebe, one of the tournaments more exciting battles was about to unfold. Kanata took a big 9-2 lead after 2 innings led by the no doubt Homerun and 4 rbi’s by Alex Hache. Following an outstanding catch by the Orleans rightfielder to stifle another Kanata rally, and 2 homeruns by their big catcher Orleans took a 10-9 lead into the bottom of the 6th. Some heroics by Alex Hobgood allowed Kanata to tie the game but with the bases loaded and no outs Kanata was unable to put the game away. Although a tie was obtained, you could feel the Kanata team had something to prove. In the Sunday championship the surprising Glebe team were the opponent in the sweltering Sun. The serene setting did not give forewarning of the fireworks about to take place. 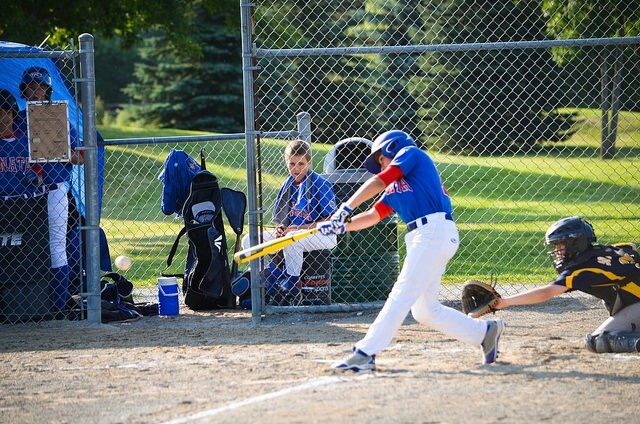 With the bad taste of the comeback by Orleans still felt, the Kanata Cubs offence exploded. Led by some spectacular performances where even the homeplate umpire stated: “In 19 years of baseball I have never seen anything like it.” Jacob Yelland’s 3/4 terrorizing of the basepaths, Paul Miglia’s 4/4 and 4 clutch rbi’s started the team off and yes that was just the start. Alex Hobgood hit his first ever homerun (and it was of the Grand Slam variety!) and the best was yet to come. Pedro Del Corral had a game for the ages with a single in the first, a lead off triple in the 3rd, an RBI double in the 4th, and you guessed it: a mammoth 3 run HomeRun in the 5th. << He hit for the cycle! It was a moving performance in many ways for coach Alberto and as he stated upon reflection: to keep the memory of these amazing performances along with the reason the tournament was founded, for a special young man in Scott Tokessy. PS - a special thanks to all the volunteers for this extremely well run tournament and especially to the tireless director: Lionel Dubois.